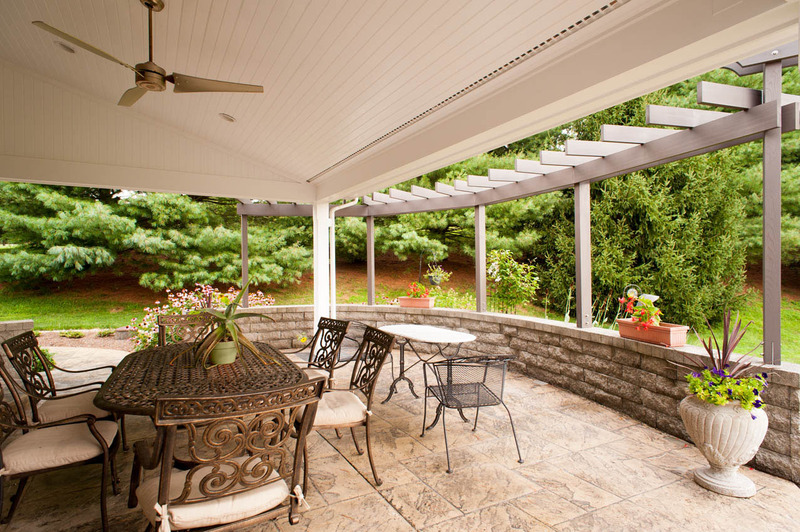 The existing patio on this neighborhood home had a southwestern exposure, making it too sunny and hot to use during warm months. 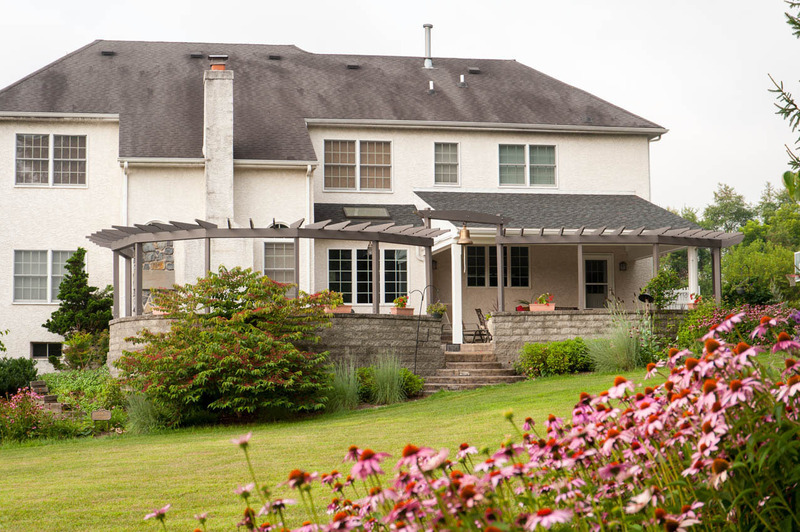 By expanding the outdoor living space, adding a roof with skylights, plus trellises and gateways that support new plantings, we added shade and provided the homeowners with a new space that complements the rest of the home and integrates with the existing landscape. The entrance to the new expanded patio from the yard is done with curved steps that contrast with the angular walls of the house. 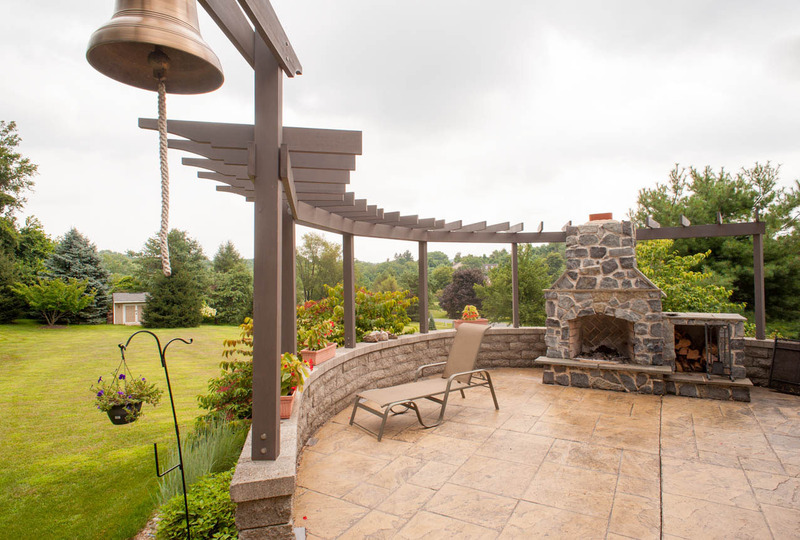 Trellises along the patio roof and the stone retaining walls repeat the curved theme, integrating the shapes of the flowerbeds into a natural transition with the patio. 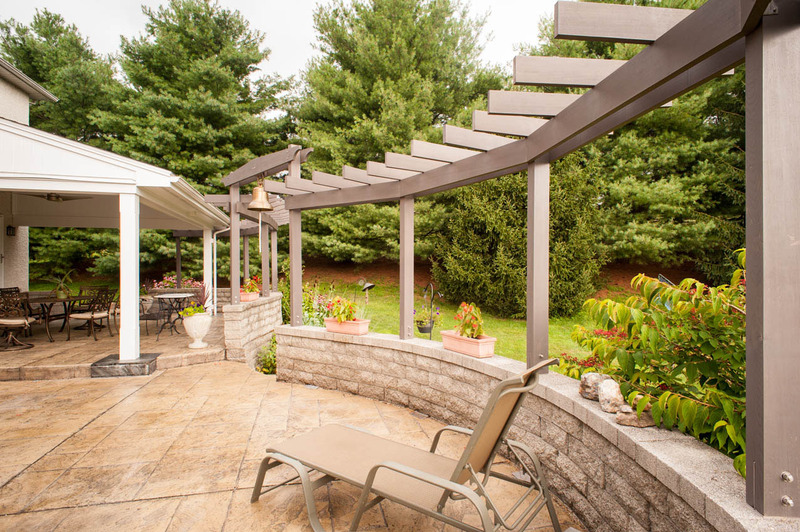 The new large roof area makes it possible to enjoy dining and relaxing on the patio at all times of day and in all kinds of weather, giving the homeowners a delightful outdoor retreat that has become one of their favorite features of the home. 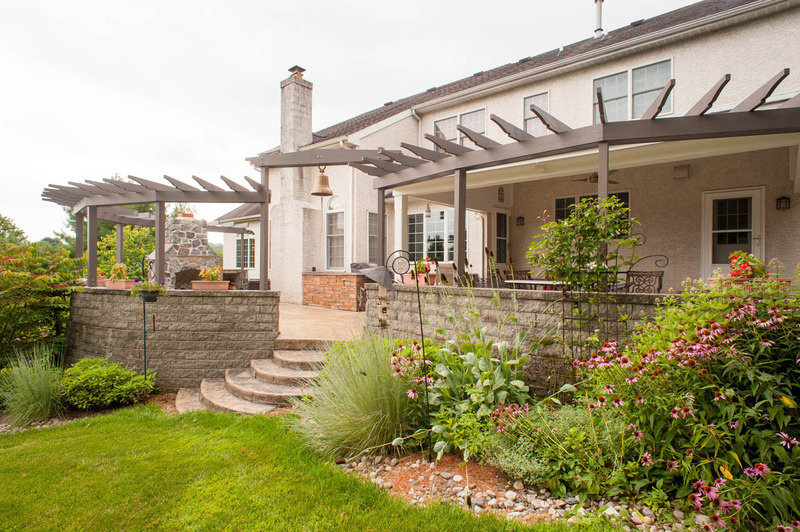 Open space between the outer edge of the roofline and trellises permits sunlight for container gardening, bringing flowers and foliage into the patio area. When soaking up some rays is preferable to relaxing in the shade, the side of the patio is the place to go. For summer sunbathing to soaking up the sun’s heat in spring and autumn, this open space is the perfect balance to the adjacent area. A beautiful stone fireplace reinforces the architectural character of the home, and extends the use of the patio into cooler weather. It’s situated to be a focal point that encompasses a panoramic view of the yard. This new outdoor room has added 900 sq. ft. of additional living space to the home.